Ronnie Brown Mansfield is an Ohio native who enjoys being around people and helping children reach their highest possible potential. Having led schools as an educator, coach and in other leadership roles, he is equity driven, performance focused and vision oriented. His extensive background ranges from working with high school, middle school and elementary school students, teachers and other personnel. He is beyond qualified to lead in his position with his principal and teaching licenses and extensive education. He earned his bachelor’s degree from Miami University where he studied elementary education and family studies and master’s degree in Educational Leadership from University of Dayton. With his qualifications and experiences, Ronnie Brown Columbus is confident in his skills and ability to communicate and deliver his message orally. His educational background has strengthened his ability to execute programs and activities that are professional for both teachers and students. At the top of his abilities sit highly influential strengths that include interpersonal aptitudes, analytical presentation and mastery in critical thinking. 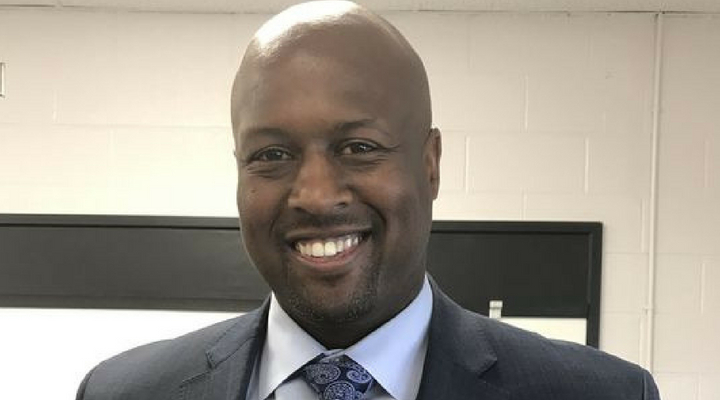 His monumental role in President Barack Obama’s My Brother’s Keeper program in the school district and executing administrative strategies has boosted his career in learning and education. His leadership abilities are evidently exceptional. How did you get started in this work? What inspired you to go into education? What has been your most satisfying professional moment? I first decided to go into the education field in 1995. At Miami University in Oxford, Ohio, I chose to major in elementary education and minor in family studies. I wanted to teach and help lead children to successful lives. Through numerous educational positions I have held over the past 20 years. My most recent position is as assistant principal at a middle school in Mansfield. When you choose to work in education, profits are not a consideration or motivation. It is not a field that will make you rich in terms of money. However, it is a field that provides a great deal of satisfaction and purpose. It means a great deal to do something every day that is benefitting other people, particularly children. It was a tough transition going from teaching in the classroom to helping to lead the school as an administrator. However, I was not alone. I had a lot of support and great staff to work with. I am successful because I genuinely enjoy what I do. Each day is new and different. There is no such thing as boredom in my work. I am constantly challenged. I am driven to continually grow and improve. There is always more to learn and I enjoy learning new things within the field of education. The most satisfying moments are seeing former students as adults and learning what they have accomplished. I have done this work for 20 years so there are a lot of lives who I have touched. I am looking forward to applying my education and work experience into perhaps new educational opportunities in the future. I don’t see myself retiring. That is not something I think about. I always want to learn more and be challenged. I enjoy leadership roles. A book that has inspired me most is Mindset: The New Psychology of Success. It discusses how to use your given talents to bring about growth. The book can be applied to various areas of one’s life. One of my favorite books is 48 Laws of Power by Robert Greene. It is a fascinating book. I enjoy sports of all kinds. I enjoy coaching. Fishing is something I do to relax and think. I love spending time with my family. I love being a dad and spending time with my kids. I like coaching them in their individual sports as well.